Yes, of course I love drinking on patios, eating ice cream on benches, and reading books on a blanket in the park or in a chair with an ocean view. But I also enjoy walking the hour home from work or the entire length of Broadway and riding my Citibike once every three months, so doesn't that count for something? 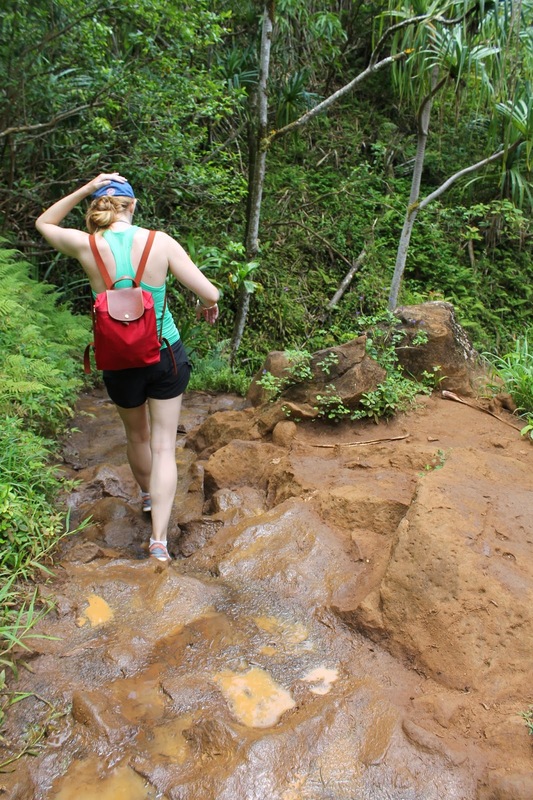 Katie and I chose to just hike the four-miles (two there / two back) to Hanakapi'ai Beach rather than the eight-miles (four there / four back) to a waterfall. We started in the early afternoon at maximum sunshine, heat, and sweat-dripping-down-our-necks time. Because of our timing and the weather, it was a good decision to just hike four miles. Even though the trail was a challenge, the view reminded me why we were on this journey. The turnaround point, Hanakapi'ai Beach, was gorgeous. I had hoped for a place to lay down, rest, and read a chapter or two before our return trip, but the tide was too high and the rocks were not made for sitting for longer than a few minutes. We took some photos and started quickly back on the trail. The way back was pretty rough for me. Even though it felt like we had been climbing up the whole way there aside from the descent to the beach, it felt like we were still climbing up on the way back. It started to rain, which felt amazing after the intense sun, but of course this made the trail über slippery. My shoes were already soaked from my accidental stream swim and I was feeling pretty squishy and gross. Even my hydrated feet weren't as bad as my unhydrated bod. I didn't think to bring a bottle of water on our hike. In my everyday life, I find water boring and unnecessary but I clearly needed it this day. Katie shared hers with me a little but I felt bad stealing it. At one point, I spotted water trickling down the side of a rock and stuck my open mouth under it while my sister said "Um." I responded with something along the lines of "I do what I want" (which is true) and enjoyed it. A few minutes after drinking the water, Katie suggested that it could have had contaminants and that I might come down with Cholera. Thankfully, this did not happen. On a not-as-hot day, with legs that were exercised more than just climbing my four flights of stairs daily, I would do this hike again, if for nothing but the views. But it was difficult for me to stay positive, especially on the way back, and I started joking with my sister, "why are you making me do this?" which she did not find funny at the time, because maybe I wasn't actually joking. I was complaining. A lot. Hiking is an activity that I'd like to do more of, but I will be smart next time and bring water. I will also try to not fall into a stream on the next trail. Of course, if you know me well, you know how hard it is for me not to fall. 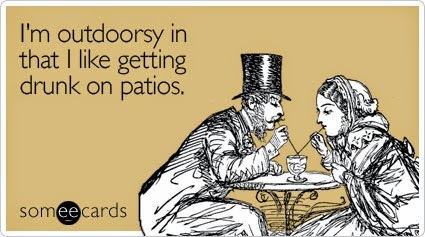 This was most recently demonstrated by a fall into an elevator that has left me with a severely broken toe and a cane. It may be a few months before I attempt this hiking thing again. Mahalo, Katie, for pictures, the motivation to go on, and for making me think I was going to get Cholera! Pro tip: when crossing a stream amid mossy rocks, take off your shoes but keep your socks on. Yes, your socks. They actually help prevent you from slipping on the Teflon-like wet moss, and help you get a grip to make your crossing safer. 1. Bring water. You will need it. Protein bars and raw almonds are a smart choice too. Be prepared. 2. Wear sunscreen. You can get a bad burn. Even when it's raining. You read that correctly. 3. A hat is a very smart thing to wear. So is bug repellant. 4. Good shoes are a must. The trail is muddy. Oh, and you can be assured the red dirt will stain your shoes. Permanently. 5. Do not even think of trying to go into the water at Hanakapi'ai Beach. Unless you want to die. Because you will. It is the most dangerous beach in Hawaii, and quite possibly the most treacherous beach in the US. You're welcome. 6. 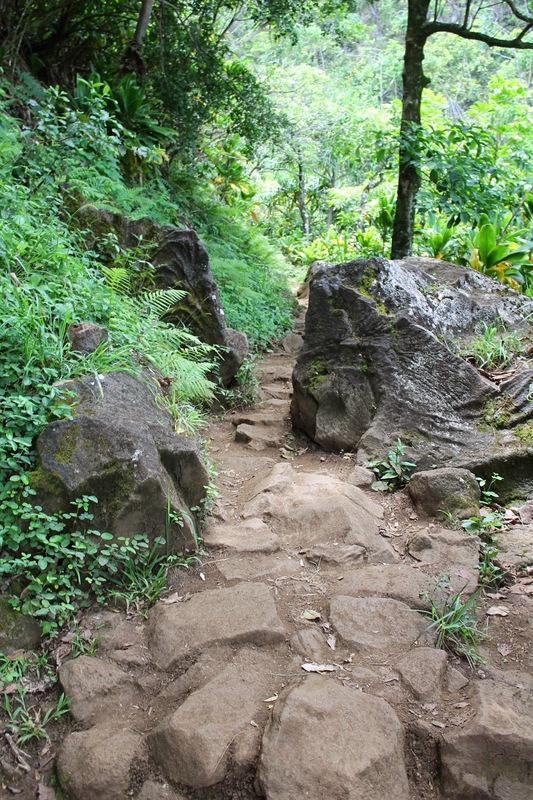 If it's raining, turn back before even thinking of trying to cross Hanakapi'ai stream. 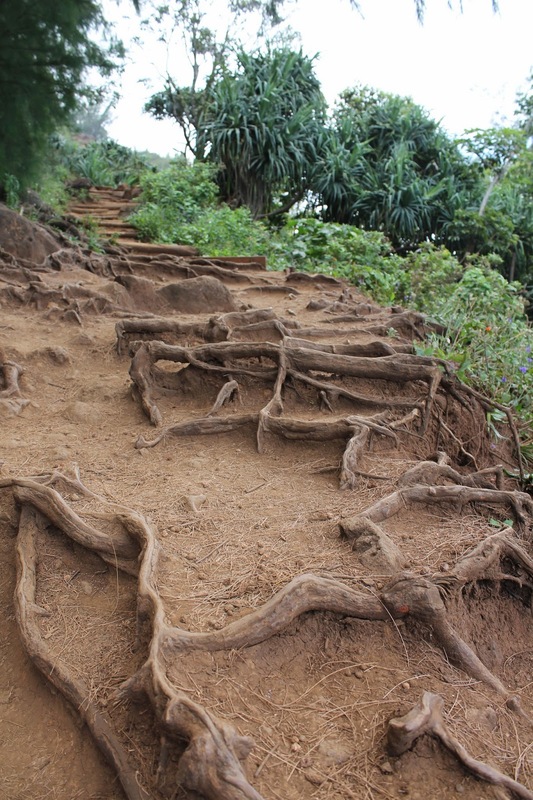 Many hikers have lost their lives because of flash floods. Don't ruin a day in paradise by underestimating the power of nature. 7. Get an early start. Beginning your hike in the early part of the morning will make the day cooler and a lot easier. You might actually find a place to park at Ke'e Beach. Oh, and be sure to remove all your valuables from your car before you head out. Unless of course, you would like a specialist to do that for you while you're on the trail. 8. Have fun! The trail is a challenge. But you'll be rewarded with views and an experience you'll never forget. And by all means, take pictures. You'll thank yourself forever.